The UNESCO Post-2015 Development Agenda proposes equitable quality education and lifelong learning for all as its overarching goals for education. A holistic quality approach is espoused to encourage lifelong learning and thereby build inclusive, sustainable, and prosperous societies. Their quality goals are particularly ambitious given that the practical recommendations for inclusive education necessitate ubiquity and are disruptive of existing processes. Higher education is facing widespread and serious challenges in terms of helping individuals develop and acquire the ability to advance and sustain their own learning. Proactive and innovative strategies are required to fully embrace the open learning culture in a manner that aligns with the global driving forces for the development of the individual, society, and the world in general. This chapter examines shaping the future of education related to UNESCO Post-2015, especially its interrelatedness with adhering to quality standards in education for all. … [reaffirm] a humanistic and holistic vision of education as a fundamental human right and essential to personal and socio-economic development. The objective of such education must be envisaged in a broad lifelong learning perspective that aims at enabling and empowering people to realize their rights to education, fulfil their personal expectations for a decent life and work, and contribute to the achievement of their societies’ socio-economic development objectives. In addition to the acquisition of basic knowledge and cognitive skills, the content of learning must promote problem solving and creative thinking; understanding and respect for human rights; inclusion and equity; cultural diversity; it must also foster a desire and capacity for lifelong learning and learning to live together, all of which are essential to the betterment of the world and the realization of peace, responsible citizenship and sustainable development (p. 3). As indicated above, an essential component that all involved stakeholders should understand is the inextricability between sound pedagogy and quality. In terms of quality, The European Association of Distance Teaching Universities (EADTU), in cooperation with the International Council for Open and Distance Education (ICDE), conducted a study on quality models for online and open education around the globe (Ossiannilsson, Williams, Camilleri, & Brown, 2015). This research focuses on the quality indicators for global online learning and on the preparedness of stakeholders for web-driven online educational environments. The introductory perspectives put forward in the study are discussed throughout this chapter. Please note that the concept online and open education /learning most often is used and provided throughout this chapter, note also that not all online learning avenues are necessarily also open. 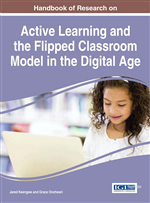 The learning landscape has substantially changed in the past few years. The ever-improving performance of mobile devices and the development of networking infrastructures continue to increase the appeal of new powerful instruments as avenues from which to expand the reach and quality of education. The rapid spread of technologies, as reflected by their untamable demand and use, and significant developments in research and practice inevitably transform the information society, mostly in ways that extend beyond institutional settings and often along unexpected pathways. Choice Based Learning: The process that learners play in their own learning process and the manner by which such process is designed, so the learner can make choices, take control, and orchestra their own learning processes, with or without support from information and communication technologies (ICT). Hybrid Learning: Hybrid learning happens both in a classroom (or other physical space) and online. In this respect, hybrid learning overlaps with blended learning. These terms can be distinguished as follows. Blended learning describes a process or practice, whereas hybrid pedagogy is a methodological approach that helps define a series of varied processes and practices. Blended learning is tactical, whereas hybrid pedagogy is strategic. Student-centered Learning: A crucial consideration in student-centered learning is that this approach is not limited to affording students a central place to occupy, with teachers surrounding the students. A primary challenge is fundamentally adjusting our views regarding the role that learners play in relation to their own learning processes and the manner through which these processes are designed, with or without support from ICT. Smart Learning: Smart learning is concerned with context-aware ubiquitous learning. Contexts include the interactions between learners and environments. Therefore, smart learning environments can be deemed technology-supported learning environments that implement adaptations and provide appropriate support in the right places and at the right time on the basis of individual learners’ needs. These needs may be determined by examining learning behaviors, performance, and the online and real-world contexts in which learners are situated. Learning Analytics: Learning analytics is the measurement, collection, analysis, and reporting of data on learners and their contexts for the purposes of understanding and optimizing learning and the environments in which learning occurs. Open Educational Resources: Open educational resources are those freely available and often come with a CC license. Quality in Online and Open Learning: First, quality is relative; different individuals perceive it in various ways. As in open online learning, many stakeholders are involved; accordingly, quality can be viewed and measured with different approaches. This type of learning also rests on the maturity level of (for example) institutions. In open and online learning, three main areas used to be reviewed on a holistic contextualized perspective: management (strategy and vision), products (curriculum design, course design, and course delivery), and student and staff support. Another essential requirement is to review quality in online and open learning from learners’ viewpoints (i.e., personalization). Active Learning: Active learning engages students in two aspects: in accomplishing tasks and thinking about the tasks that they are accomplishing. The concept can also be described as involving doing, reflection, learning, and application. Open Educational Practice: Open educational practice pertains to the practice and culture that draws upon open technologies and high-quality OERs to facilitate collaborative and flexible learning. It may involve student participation in online peer production communities within activities intended to support learning, or more broadly, any context where access to educational opportunities through freely available online content and services is the norm.